Released in April 2008, this was the bands twentieth album and the only one for Sanctuary via their new owners Universal. The album featured a new British-based line-up after the departures of the American musicians who had been recruited to salvage a 2006 tour of the US. Mark E. Smith, keyboardist Elena Poulou and bassist Dave Spurr remain from the previous incarnation. They were joined on Imperial by guitarist Pete Greenway and drummer Keiron Melling. 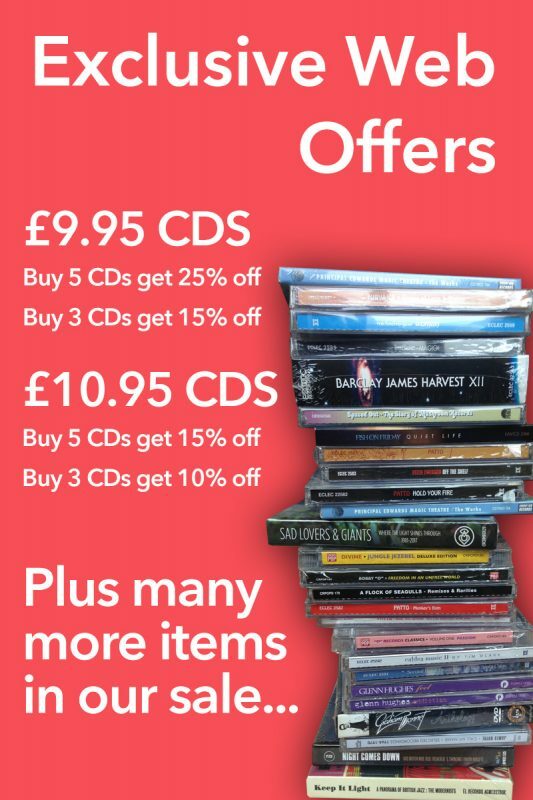 The album was well received and charted at no 35 in the UK album charts. This vinyl version is one of the most sought-after albums on that format as the initial pressing amounted to around 1000 copies. 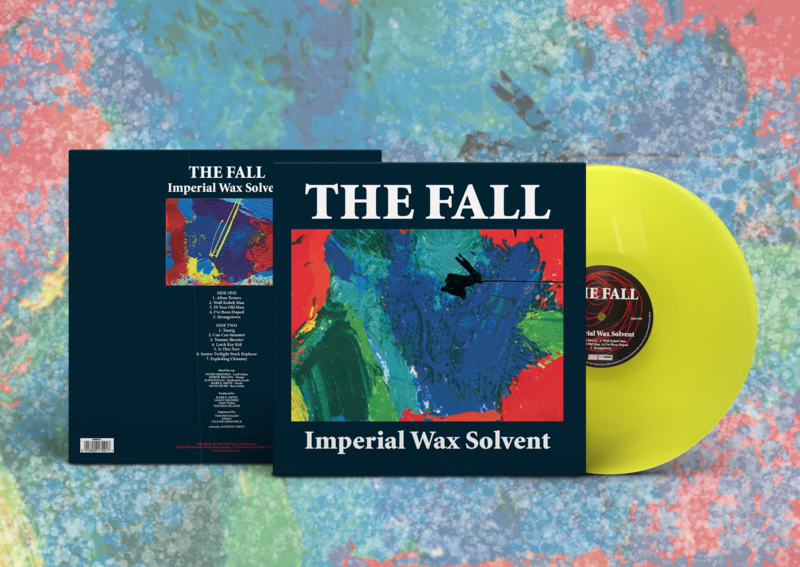 This yellow vinyl limited edition has been re-mastered by long term Fall engineer Andy Pearce. Never before released in any format! The 1971 sequel to last year’s hit RSD release, ‘The W***** B*** Album’. Remastered from the original tapes. Artwork features original unseen imagery and artefacts from The Residents’ archive. Produced in partnership with The Residents and The Cryptic Corporation. 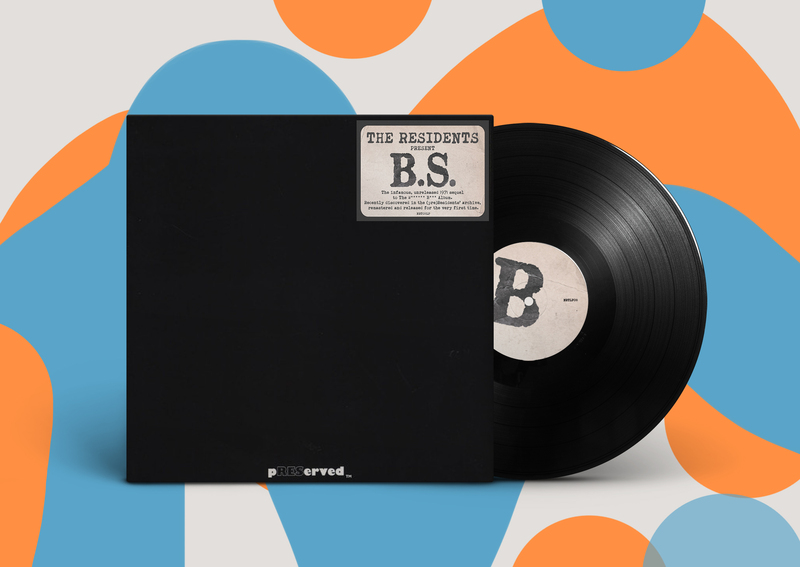 Recorded in 1971 in the hope of securing the group a recording contract, and sent to Warner Bros Records in early 1972, ‘BS’ has become a cornerstone of The Residents’ mythology. Rejected by Warner Bros Records, the album was disowned by the group and remained long-forgotten until its recent rediscovery as part of their ongoing archival excavations. Two must-hear sides of deep fried experimentia, post-lysergic explorations, primitive home recordings and Residential nonsense. Essential listening for any fan of The Residents, underground and experimental music of the 1970s, home recording or the downright ridiculous. This is carefree, boundary free and unruly music at its best, as produced by a collective of no discernible talent who, despite all indications and expectations, have endured for almost half a century. Legendary… Seminal… Genius… all or none of these words may apply. The Residents themselves remain silent on the matter. Part of The Residents’ ongoing pREServed reissue series. 5. VERY LONG SUITE (INCORPORATING PINK LEMONADE, SANDMAN, EAT ME MOTHER, BUMBLE BEE, ELOISE, KAMIKAZE LADY, D IS FOR DOORKNOB, THE THREE MOST IMPORTANT THINGS IN THE WHOLE WIDE WORLD, ASSORTED ANNOUNCEMENTS, SNAKEFINGER’S WEDDING AND A SELECTION OF UN-TITLED INSTRUMENTALS). 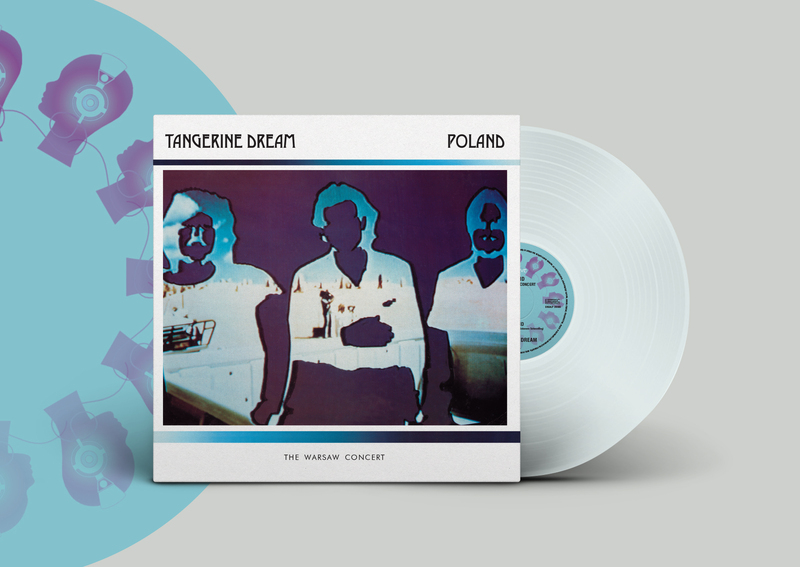 Esoteric Recordings’ Reactive label is pleased to announce the release of a limited clear vinyl double LP edition of the album “Poland – The Warsaw Concert” by Tangerine Dream for Record Store Day 2019. On the 10th December 1983 Edgar Froese, Chris Franke and Johannes Schmolling performed a legendary concert in the Ice Stadium in Warsaw – a unique event, given the political situation in Poland at the time and the rise of the Solidarity movement. The resulting live album was issued as a double album set on the Jive Electro label the following year to great acclaim. This Esoteric Reactive release has been cut at the legendary Abbey Road Studios and fully restores the original gatefold LP artwork and inner sleeves and is a fitting and special release for Record Store Day 2019. 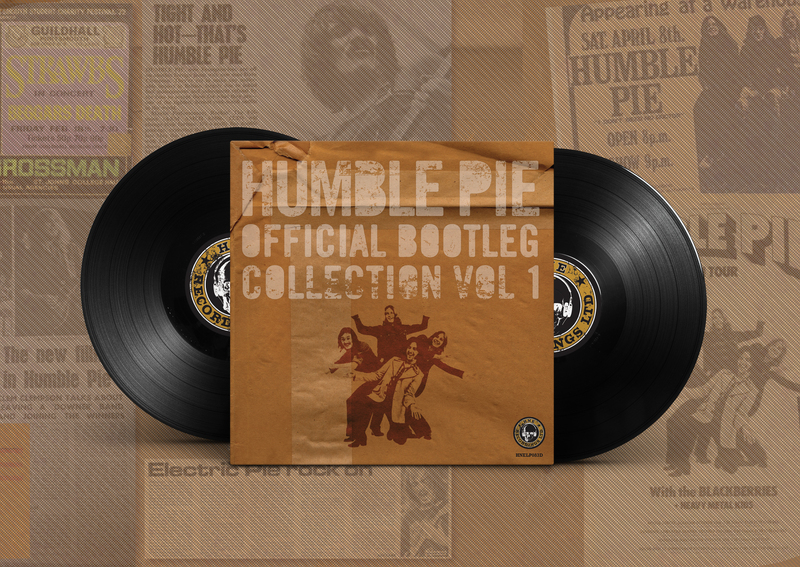 Humble Pie’s “Official Bootleg Collection Volume 1” is a raw testament to what this band did best; playing bluesy, gutsy, soulful and often hard rock, live on stage to an adoring audience. Drawn from a variety of mainly audience recordings that have previously only been available as “under the counter” pirate releases, this is an honest, and often unforgiving tribute to a classic and much missed 70s super-group, released with full involvement from Pie founder member and drummer, Jerry Shirley. Originally emerging from the remnants of 60s beat heroes, The Small Faces, Humble Pie formed in 1969 when mercurial guitarist and vocalist Steve Marriott joined forces with The Herd’s Peter Frampton, with drummer Jerry Shirley and bassist Greg Ridley. After two albums for Immediate Records, Humble Pie switched to A&M, and began their ascent to conquering the theatres and arenas of North America, culminating in 1972’s double live “Performance: Rockin’ The Filmore”. Frampton then left to pursue a highly acclaimed solo career, to be replaced by Clem Clempson. It was this line-up that was captured at the Arie Crown Theatre, Chicago on 22nd September 1972, whilst touring to promote that year’s “Smokin’” opus, from which ‘Up Our Sleeve’, ‘Honky Tonk Women’, ‘I Wonder’ and ‘Four Day Creep’ were taken. With the band’s growing worldwide reputation, the band toured Japan, playing the Shibuya Kokaido in Tokyo on 16th May 1973. They were touring to promote the “Eat It” album, from which Ray Charles’ ‘I Believe To My Soul’ was featured, followed by ‘Hot ‘N’ Nasty’, with a set that ended with a rip-roaring take of the Staple Singers’ ‘Oh La-De-Da’. There’s no doubting that the 70s saw some legendary, unmissable bills, and the show held at Charlton Athletic Football Ground on 18th May 1974 was no exception, where Humble Pie guested alongside Lou Reed and Bad Company at a concert headlined by The Who. Kicking off with the Small Faces’ classic ‘Whatcha Gonna Do About It’, Humble Pie were at the peak of their live powers before a capacity crowd. The selection from Charlton is followed by betty Wright’s ‘Let Me Be Your Lovemaker’ and Ray Charles’s ‘I Don’t Need No Doctor’. Side Four of this double LP ends with four songs recorded at Finsbury Park’s legendary Rainbow Theatre, on 6th June 1974; ‘Thunderbox’, the title track of their then new album, plus live faves ‘30 Days In The Hole’, ‘Sweet Peace And Time’ and ‘C’Mon Everybody’. As well as rare memorabilia, the LP gatefold features an essay from Malcolm Dome based on new interviews with The Pie’s Jerry Shirley. Whilst every effort has been made to produce the best possible audio, limitations in the material drawn from various, non-standard, and unofficial sources means that the quality may not be up to the standard usually expected. All tracks have been included for their historical importance, and to present an alternative vinyl anthology of Humble Pie live on stage from 1972-1974. WATCH | Dive into the world of Torsten as Andy Bell Returns for his third solo album, Torsten In Queereteria out tomorrow!